Congratulations to Mr. McFarlane, the winner of the November GCHS Knights Hockey Pool. 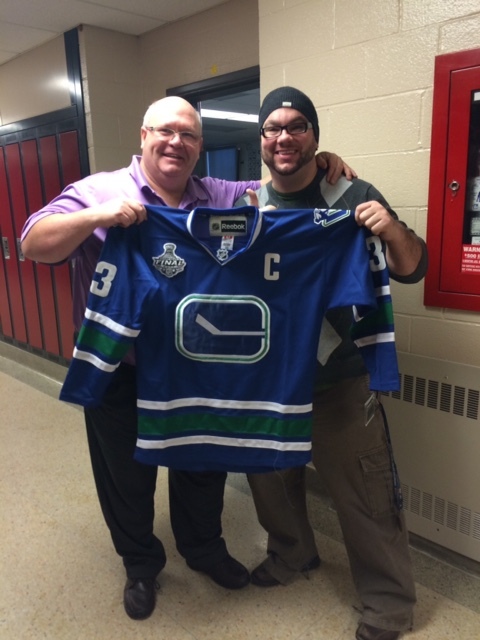 Mr. McFarlane was presented with the November prize from Mr. Griffin, a Vancouver Canucks sweater. Congratulations!